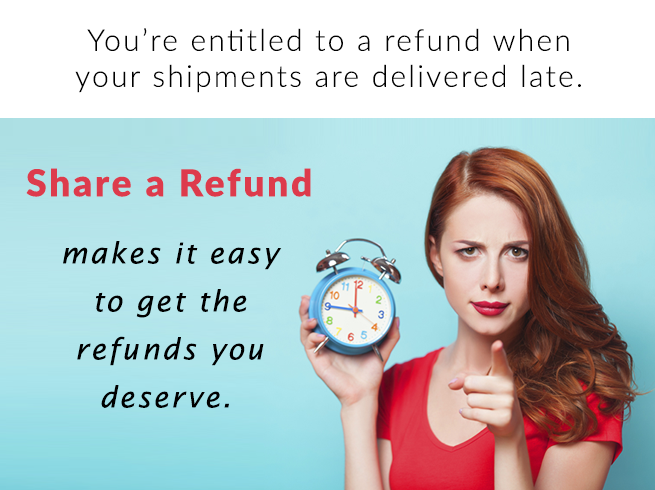 Any package that is delivered late is eligible for a full refund from FedEx and UPS. Share a Refund manages all tasks required to reclaim the money. 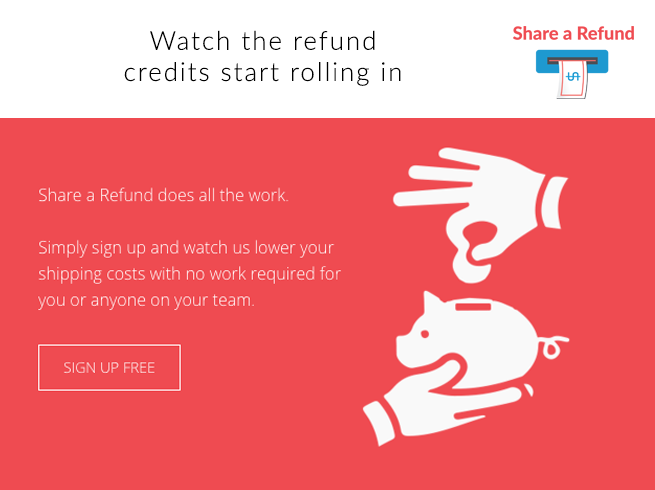 The refunds go directly to you in the form of credits on future invoices. 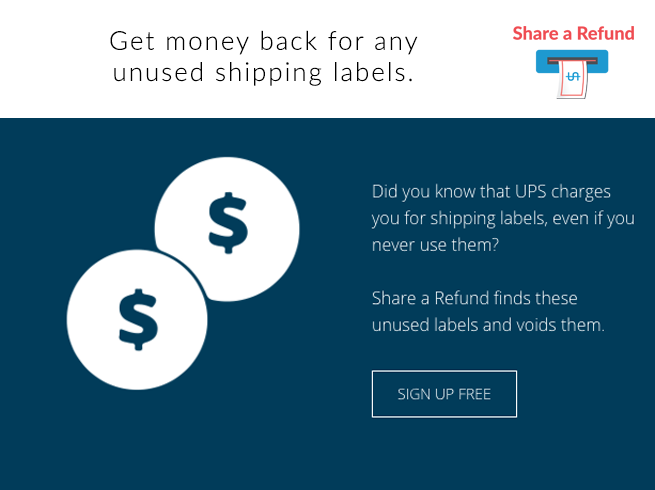 This app continuously analyzes your shipping accounts for refund opportunities. This app automatically files refund claims for you. This app collects 50% of the savings delivered. 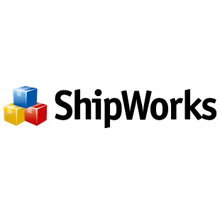 This app reports weekly on all activities related to your shipping accounts. 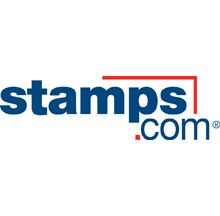 FedEx and UPS time guarantee all shipments. Even one minute late, the shipper is entitled to a full refund. Last year $2.5 billion went uncollected. 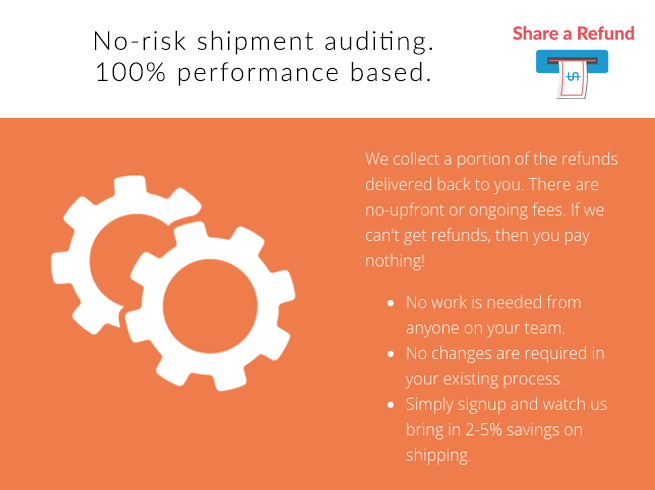 Share a Refund's proprietary software and automated communication platform gets every shipping refund a company is due. 100% performance driven. Our fee: a split of the refunds secured. 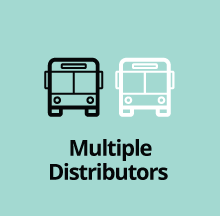 Process and ship individual items from multiple distribution areas as needed. 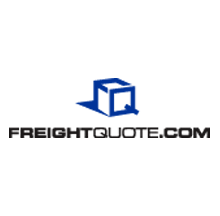 In other words, have an item shipped from multiple distributors to save on shipping costs when applicable.